Chin-Yi Cheng is a Senior Research Scientist at Autodesk Research. He is a researcher, designer, computer scientist, engineer, as well as a cook. He loves to switch between these roles and will often play multiple roles at the same time. His research interest is to design and implement novel deep learning models, such as Geneartive Adversarial Networks, for human-AI collaborative tools and systems, where designers can work seamlessly with AI, and therefore, create better designs efficiently. Chin-Yi holds a dual Master’s degree in Computational Design and Computer Science from MIT. He also holds a Bachelor of Science in Architecture from National Cheng Kung University and studied Mechanical Engineering at National Taiwan University. 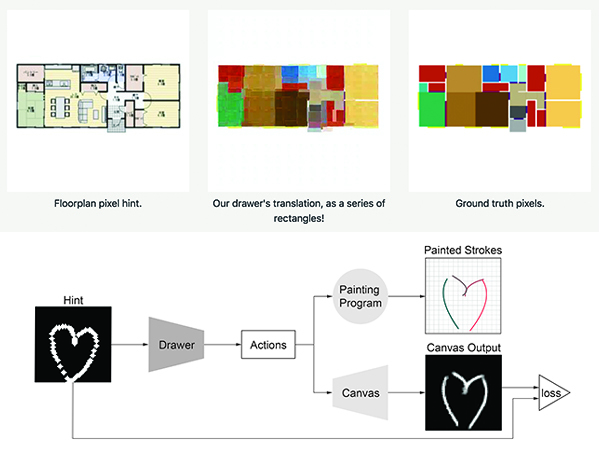 While at MIT, Chin-Yi explored the intersections among design, AI and human-computer interaction (HCI). As part of a multidisciplinary research team at MIT Media Lab’s Tangible Media Group, he experimented with novel methods to "compile" design, materials, HCI, digital fabrication, biology and even molecular gastronomy. As an independent researcher, he focused on building toolkits for designers and engineers to interact with AI. Chin-Yi has also taught workshops and lectures on a variety of topics, including parametric design, computational design and programmable materials at MIT. In his spare time, Chin-Yi enjoys cooking creative and delicious dishes for his family and friends.